Celebrating their first year in business in Galway, Colm Quinn are holding an “order take event” at their Galway and Athlone retail centres. From Thursday November 26 to Sunday 29 there will be substantial savings on new for 161, ex-management, and approved used cars. As an authorised BMW retailer, Colm Quinn offer the highest levels of service and expertise whether you are looking to buy a new car or maintain your current car. Their retail centre showcases the latest new models, plus offering a wide choice of BMW premium selection approved used cars. Colm Quinn has almost 20 years experience in the prestigious car market behind him and is delighted to have built an equally knowledgeable, loyal, and experienced team of people around him. Their mission is to exceed your expectations with unparalleled levels of care and attention through both their sales and aftersales departments. Integrity and enthusiasm are what they pride ourselves on. Contact them for details of their highly competitive finance rates with BMW Financial Services. It’s your time. Reward yourself! 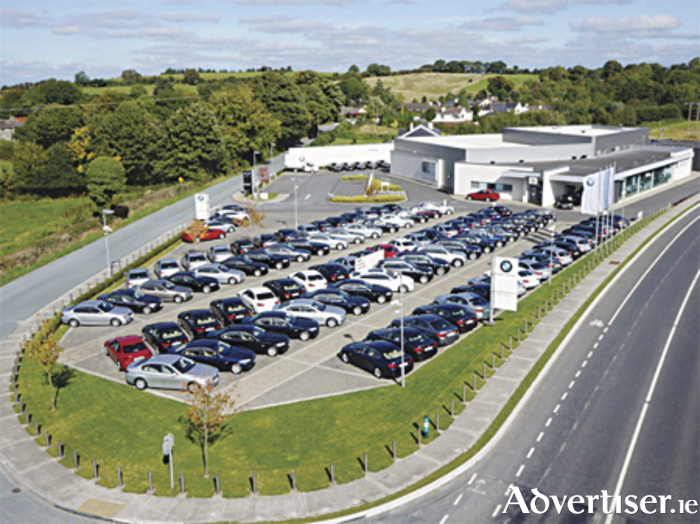 Colm Quinn - “Your home for BMW” - can be contacted on Athlone (090 ) 6465888, Galway (091 ) 753888 or see colmquinnbmw.ie Opening times are: Thurs-Fri: 8.30am–8pm; Sat: 9am–6pm, Sun:11am-5pm.